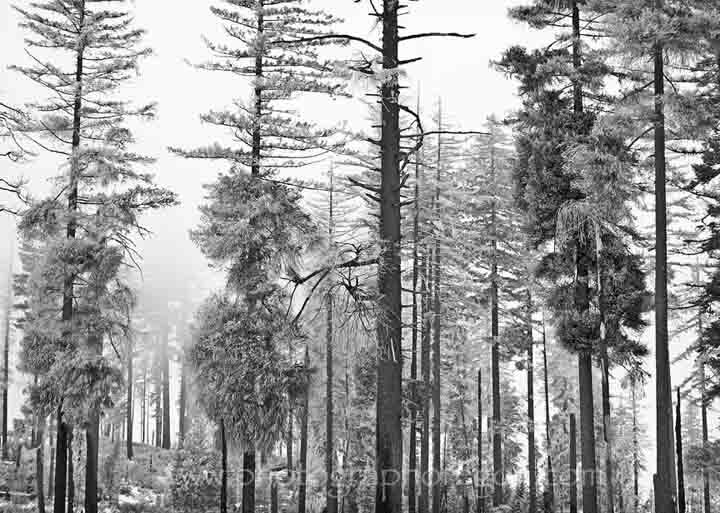 Black and white landscapes in photography is like being on another planet. 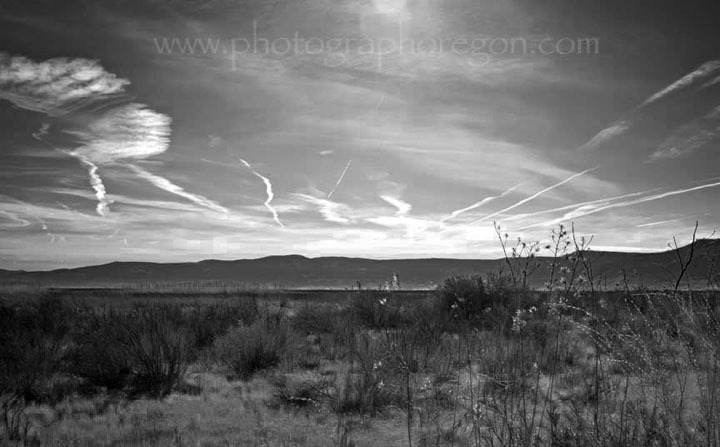 We are really use to the bright colors of the lovely landscapes of Oregon, however, the simple beauty of black and white convey the beauty of the location without distraction. We're also fortunate that Oregon has some areas with nice winter snow. Snow makes for some dramatic back and white images. Here are some of the landscapes of Oregon that are traditionally known for their colors, without them. Of course you wonder, how could someone take the color out of The Painted Hills and it still look good. Well, judge for yourself. 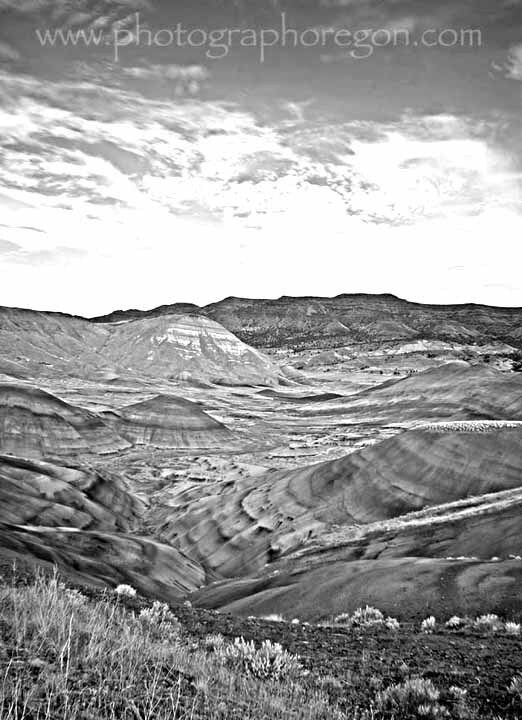 The awesome textures of the Painted Hills area does lend itself to some interesting monochrome landscape photography. I’m not saying it’s better or worse, just different, something to think about. 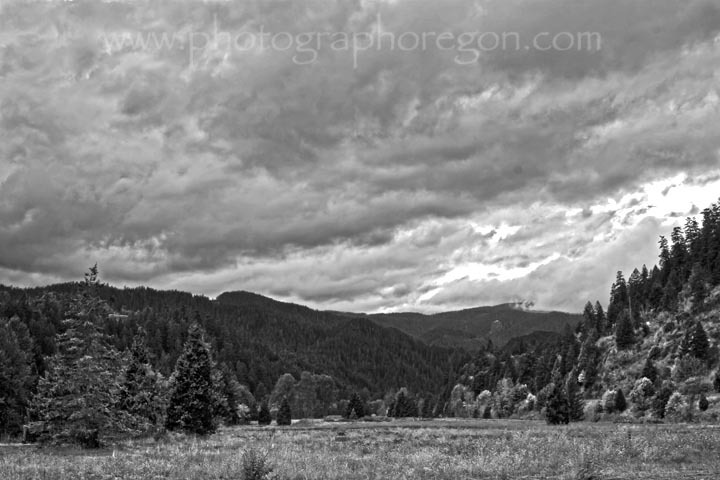 The stormy nature of Oregon gives us some great skies to work with. This image was taken in the field across from the Westfir covered bridge. There is a little HDR thrown in for good measure here. Cemeteries lend themselves nicely to this genre. Sometimes color is just too much to convey the feeling. It’s a little overwhelming. 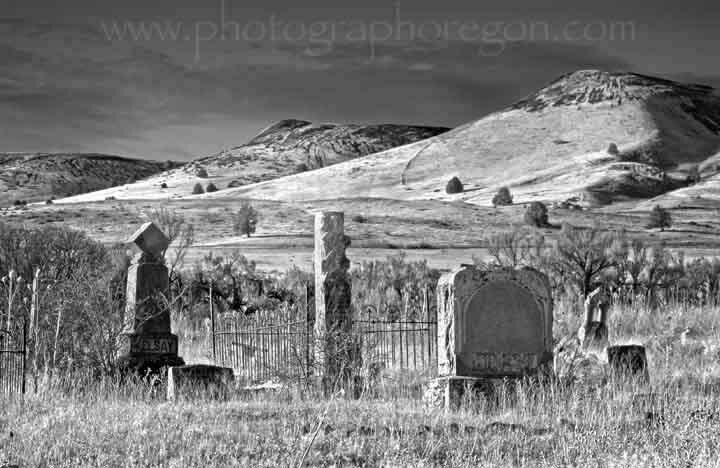 This image taken in the ghost town of Antelope is really colorful, which you can see on the Antelope page. It has a much different feeling as a black and white landscape. 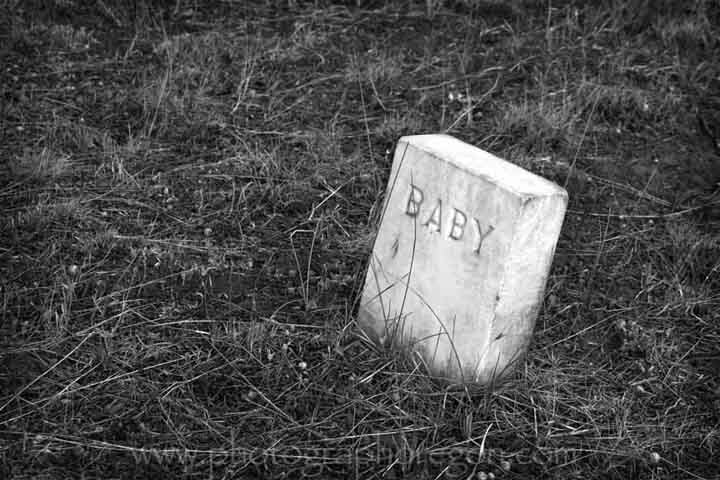 This next one I took in outside the ghost town of Mitchell. It seemed a little too harsh for the invasion of cheerful color. Sometimes simplicity is more impacting. I took this on New Years Day reflecting on the hard times of now and the hard times of then and I think even with all the troubles we have now, we have it pretty good. 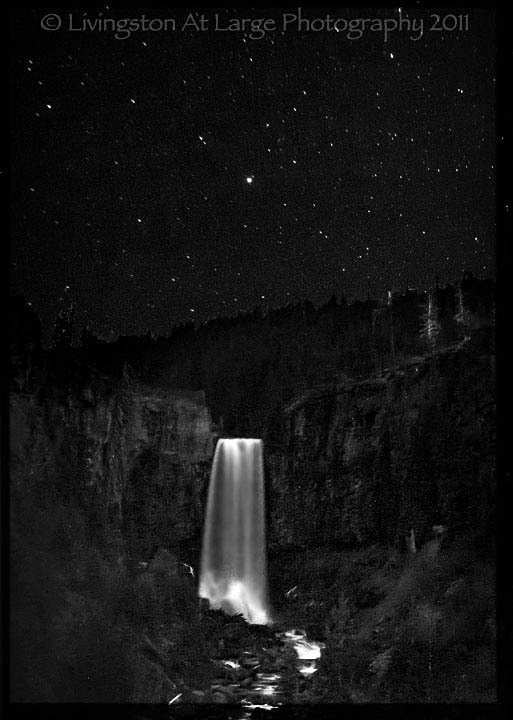 Sometimes you’ll find that an image has so little color left in it to begin with that it’s better to convert it. That was the case with this photo taken while on a Wednesday Birding trip. We were looking for woodpeckers and you can see, on the B&W animals page that we did find them! The weather that day was an inversion layer, which caused frost on everything. 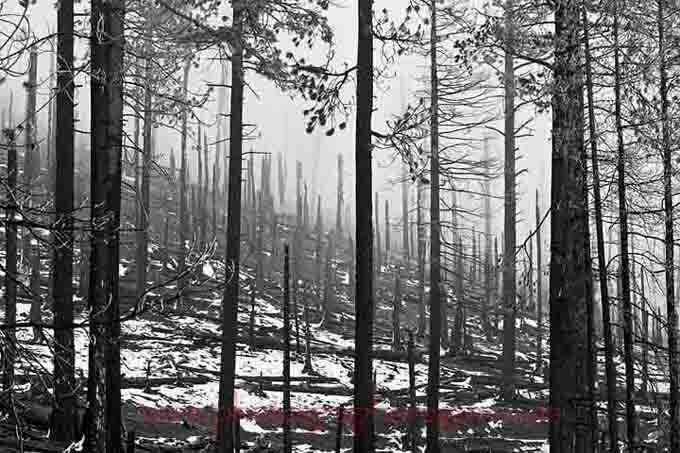 The area we were in was last summer’s Shadow Lake fire burn area so everything was black to begin with the white of the hoarfrost was a nice contrast for black and white landscape photography. This was in the same area as the picture at the top. There was more foliage still on the these trees. This was a case where the original had some brown in it. Not enough to make a statement, just enough to be distracting. I’m sure people will think I’m nuts when I say take some of those great autumn foliage shots and do them without their fantastic color! Uhhhhhh…what? Well, the leaves have darkened and in many cases have fallen, exposing the trunks of the trees. 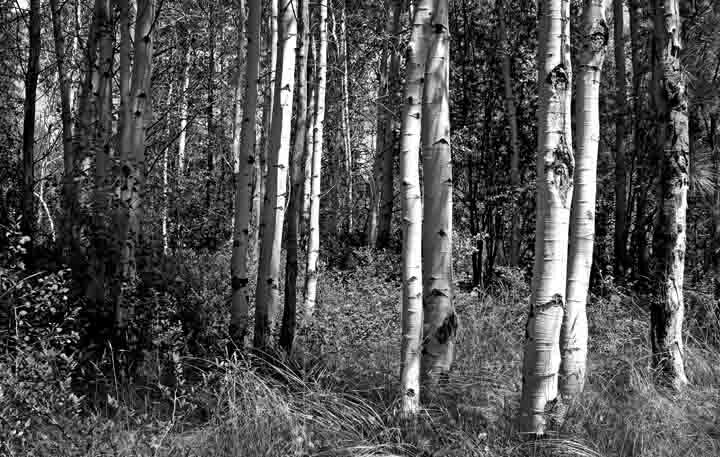 These Aspens in the long light before sundown show lots of great contrast. 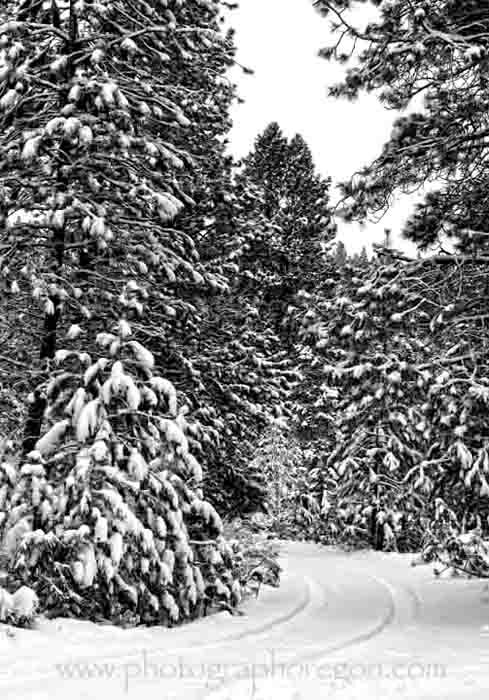 Winter, of course brings out some of the best contrast monochrome landscape photography, The snow on everything is tons of wet fun. The trick is to make sure your snow isn’t gray. All in all, in sunlight, snow and storms there are a lot of great opportunities for black and white landscape images around you. Just look for the high contrasting situations and do some playing. Oh...and the stars. Don't forget the stars!